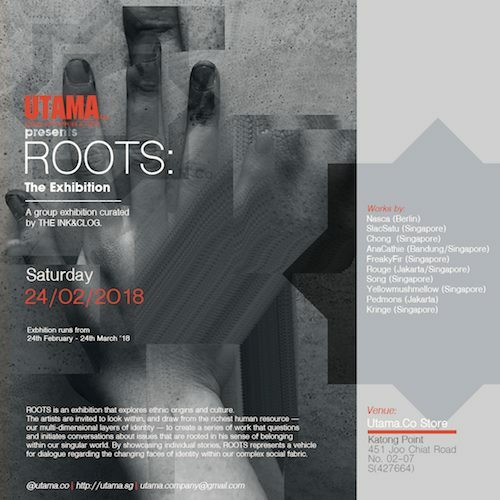 ROOTS is an exhibition that explores ethnic origins and culture. The artists are invited to look within, and draw from the richest human resource — our multi-dimensional layers of identity — to create a series of work that questions and initiates conversations about issues that are rooted in his sense of belonging within our singular world. By showcasing individual stories, ROOTS represents a vehicle for dialogue regarding the changing faces of identity within our complex social fabric.